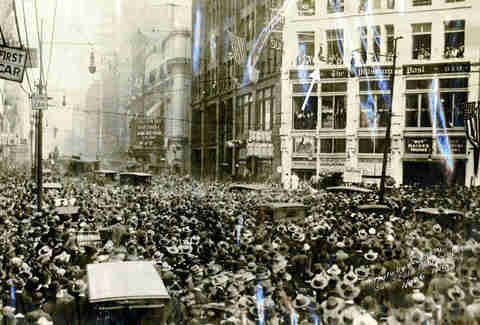 Nearly a century ago, 50ft above Downtown Pittsburgh, a man dangled by his ankles, a crowd of 20,000 people gathering in the streets beneath him. Bound in a straitjacket, he writhed and twisted like a fish without air to free himself from his confines, fastened by Mayview Hospital attendants before he was hoisted into the middle of Wood St to perform his stunt. In a matter of minutes, Harry Houdini, the "Handcuff King," as he was referred in the Pittsburgh Sun in 1916, opened his arms wide in triumphant escape. 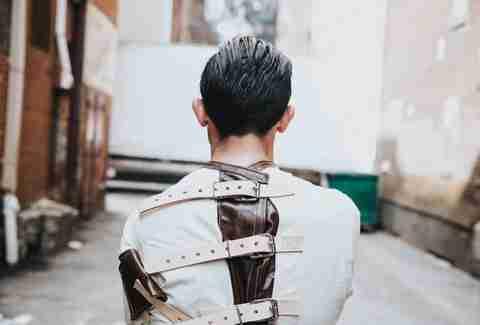 At 12pm on November 6th, Lee Terbosic, a magician born and raised in Pittsburgh, will attempt the same suspended straitjacket escape in the same spot where Houdini performed 100 years ago to the day. Terbosic has 15 years of practice under his belt, having incorporated the stunt into his own show, Bamboozled. But this time, as he suspends himself over the heart of Pittsburgh, is different than any of the others. "This is my chance to touch something he did; something great," says Terbosic about Houdini 100, the full-day event commemorating Houdini's lingering legacy in the Steel City. Terbosic's own history with Pittsburgh has played an instrumental role in his path as an entertainer, where he started performing his tricks in local Pizza Huts in exchange for free pizza. From a young age, he was taken by the art and mystery of magic and the characteristics that Houdini embodied and popularized within the form during his own time. 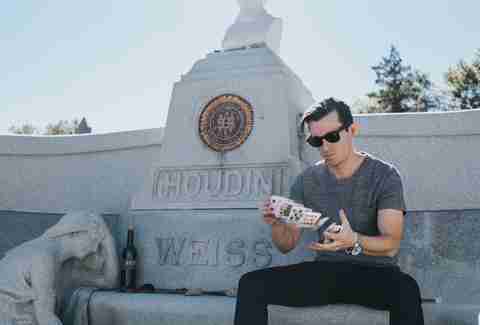 Many magicians have tried and failed to reproduce Houdini's death-defying stunts -- things like escaping a coffin buried by wet cement. Beyond his nail-biting feats, he was a cultural phenomenon in large part due to his cockiness and tenacity. At the height of his career, Houdini coined the tagline, "Failure means death," which remains his calling card 90 years after his death from an infection from a burst appendix, of all things. But you'll be hard-pressed to find a magician that doesn't revere him as one of the greatest illusionists of all time, Terbosic among them. Harry Houdini was, and continues to be, the world's most prominent magician; a man who was known not only for his showmanship but also for his complete lack of fear. Back in the early 20th century, when Pittsburgh served as a major destination for vaudeville performers, the self-made celebrities would come from all over the country to perform in a self-made city, a thriving steel town with a penchant for the arts. The Grand Opera House, now the Warner Centre, hosted Houdini during his initial performances in the city between 1905 and 1908, after he had returned from a five-year "tour" of Europe that had earned him the nickname "King of Handcuffs." He quickly earned a reputation during his first stay in Pittsburgh: he challenged the general public to try to contain him, to bind his hands with rope. Despite various attempts and knots, no one was successful in restraining him; he escaped again and again, "[defying] anyone to come on stage and bind him successfully," according to The Jewish Chronicle. His local feats became more daring with each of his return visits, among them a leap from the Seventh Street Bridge on March 13th, 1908. Before his 40ft plunge, Houdini was secured with steel manacles, and not long after diving into the frigid (and steel-mill-polluted) Allegheny River below, Houdini surfaced unscathed, cuffs in hand. Returning to Pittsburgh in 1911 for another stint of shows, Houdini was admitted to the Mercy Hospital for complications resulting from a ruptured kidney. The doctor who attended to the famed magician insisted that he needed at least two to three months of bed rest if he should live to see the rest of the year. With three more shows still booked for his remaining time in Pittsburgh, Houdini laughed off the doctor's advice and continued with his performances. For the next 15 years, Houdini sent photos and newspaper clippings of his performances to that Pittsburgh doctor to remind him of the magician's defiance. Unlike Houdini, however, Terbosic has taken great safety measures leading up to his straitjacket escape. In the early 1900s, Terbosic says, "failure really did mean death." For nearly four years, Terbosic has been meticulously planning this commemorative event. Terbosic told us that he has "done the straitjacket escape nearly 1,000 times" and uses an immersion table at home to adjust to the changes one's body goes through when hanging upside down. To call him well-practiced would be an understatement. For Terbosic, Houdini 100 is about more than replicating a famous stunt. It's a century in the making; he wants to recreate the same electric atmosphere of anticipation felt by tens of thousands on November 6th, 1916. 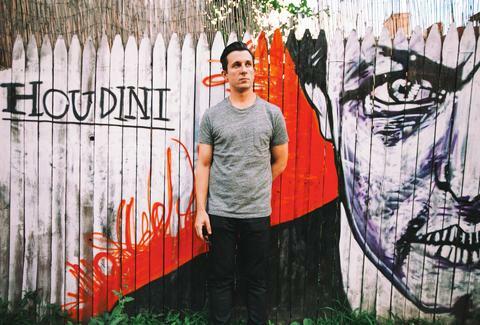 It's an opportunity to bring together the art form he loves and the city that grounds him. Sunday, November 6th, 2016, will not only be one of the largest public gatherings that Pittsburgh has seen in nearly 100 years; it will also be a reminder of the ambition that made the City of Rivers what it is today. The closest Julianna Bagwell ever got to being a magician was when she was 10 years old and started wearing a lot of velvet and making shampoo "potions" in the bathtub much to her mother's dismay. She's still waiting for her parents to reveal to her that she secretly comes from a long line of witches despite having no magical powers to speak of. Follow her for more ramblings about her complete lack of magical prowess: @JuliannaLocal.